Andry Medical Services is a full-service Family Medicine office with specialty training and service in additional areas of medicine. 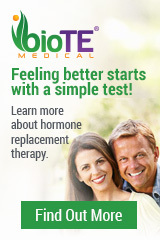 We offer Bio-Identical Hormone Therapy (BHRT) management, including Testosterone, Estrogen, Progesterone, Thyroid, Cortisol, Vitamin-D, Growth Hormone, GLP-1, among others. We provide Advanced Medical Weight Management Services with a focus on Hormonal/Behavioral techniques. Our on-site laboratory and specialty lab partners offer an array of testing and ancillary services to support our patients’ health care needs. Once the internal transformation begins, our aesthetic services and products can begin to transform the external. The partnership between health care and aesthetics is well established and especially important during hormone therapy to correct issues caused by a previous imbalance. Individualized Care for Optimal Living isn’t just a slogan. Our goal is to provide the highest quality medical care, understanding the latest in research, while developing a unique, individualized health plan, specifically for you and your particular needs. Dr. Andry provides a level of comprehensive healthcare that is the exception in modern medicine. Part of his revolutionary approach to healthcare comes from creating an actual healthcare marketplace where the patient knows and decides exactly what they are paying for, how much it costs, and why it’s necessary. There are no insurance middlemen, there are no employees whose job you’re paying for simply to charge you more money. There are no premiums coming out of your paycheck, there are no deductibles and no additional hidden fees or massive, unexpected bills later on. This pay-as-you-go system is commonly referred to as a cash pay model. For 10 years, Dr. Andry has successfully used this model to provide patient-centered care with a level of expertise and intuition not commonly found. We believe you are in charge of your health care and we will listen intently to your concerns and take the time necessary to understand your needs as fully as possible, and adapt our knowledge and understanding to your beliefs and goals to the best of our ability, while maintaining sound medical practice principles.